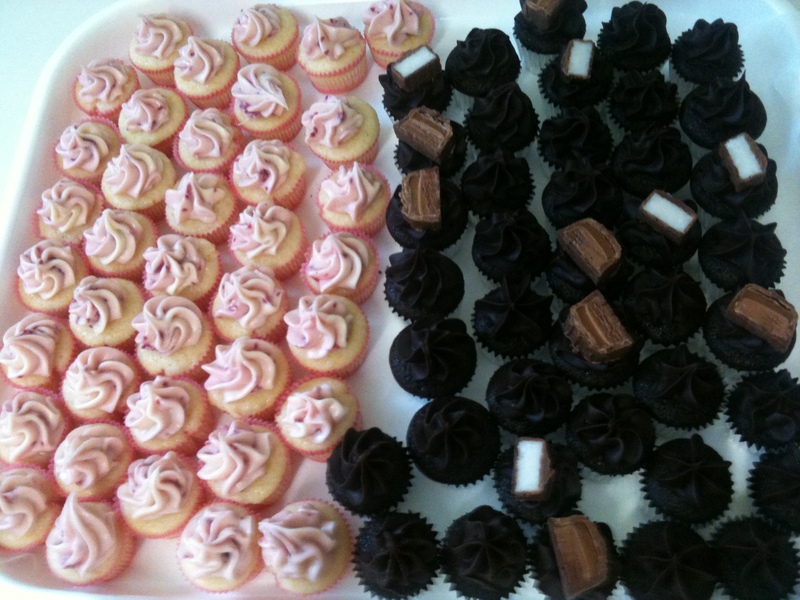 Mini citrus coconut with raspberry swirl frosting and death by chocolate cupcakes. Recipe for citrus coconut cupcakes here. Recipe for death by chocolate cupcakes here. Death by chocolate sounds great. Might give it a try.